When it comes to laptops, the Asus brand is synonymous with innovation. Asus laptops are fast, reliable and affordable and are used by college students and professionals alike as they represent not only style, but value for money too. Asus laptops come with Windows pre-installed so you can start using them straight out the box. They are ergonomically designed for ease of use and feature high-quality parts so they won’t let you down. Each Asus laptop is portable so you can take it with you and catch up on work as you travel to and from the office. You can take it almost anywhere, and with an Asus laptop you get everything you need from a computer no matter where you are.. If you’re looking to upgrade your current laptop or you simply need a computer fro when you’re out and about, an Asus laptop is ideal. Want a laptop thats quick and easy to use, with the latest Google technology? 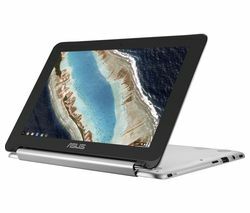 Check out our range of Asus Chromebooks here.